When the lean, dark Dutch Warmblood gelding entered the indoor arena at the Washington International Horse Show in 2017, it suddenly got quiet. All eyes were on him and his rider, 25-year-old Melanie Ferrio-Wise, who was about to pilot the scopey jumper over a course of 1.20-meter fences in the $10,000 Adult Jumper Championship with nothing more than a rope around his neck. The round wasn’t without flaws. Melanie picked up a refusal at the second fence, but she gathered up her bridleless horse and her courage and continued on. There were a few long spots, where she was jostled out of the saddle. A couple of rails fell as Wings’ ankles rubbed them on the landings. But when Melanie and Wings completed the course, she collapsed onto her horse’s neck in an emotional display of gratitude, and the spectators cheered from their seats. 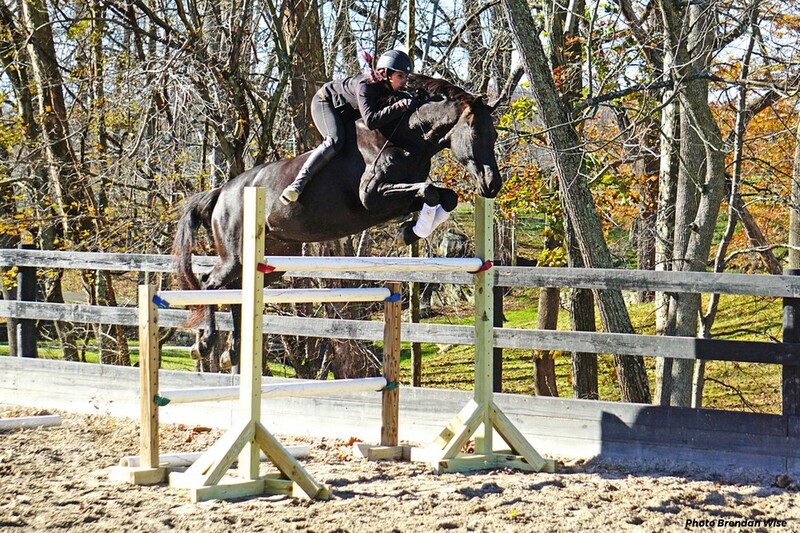 Melanie had never shown on the rated jumper circuit prior to Wings, or “Vlad” as he is called in the barn. It had been her dream since she attended the Washington International Horse Show as a kid. It would be a long road to get there, paved with many setbacks. And at the outset, her relationship with Wings was not what she would call rewarding. It was a convergence of paths that brought Melanie and Wings together in 2014. Melanie, of Bel Air, Md., had spent the majority of her riding career helping “problem” horses who came to her at the end of their rope. Growing up without the financial support and training opportunities that some do, Melanie rode whatever she could get her hands on, teaching herself along the way. As for Wings, his history is a bit more cloudy. 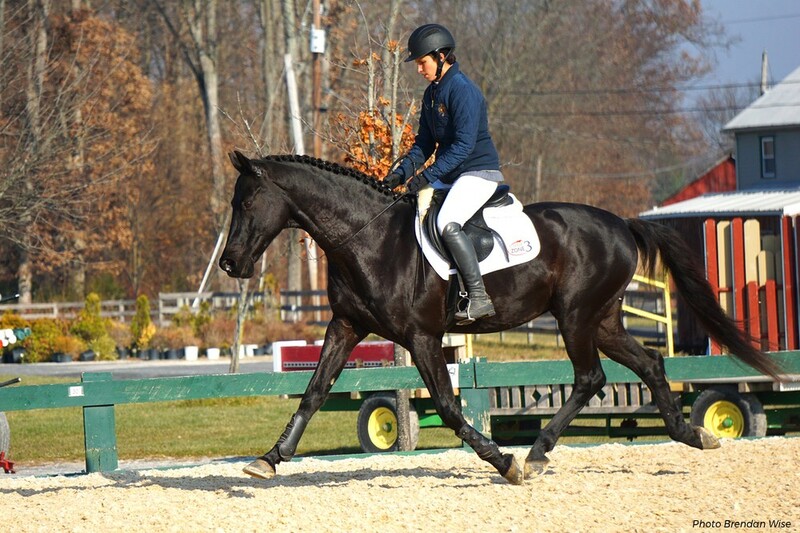 He was given to Melanie as a project dressage horse, but she was presented with a difficult horse who shied away from authority and wasn’t sure how to control his emotions. Melanie and her husband, Brendan, believe in giving horses a clean slate when they restart them. They didn’t have any expectations for him, and never wanted the gelding to feel pressured, she said. In a whirlwind of a first season, Melanie hit the rated circuit hard in 2016, competing all over the country with her diamond in the rough horse. But finding the funds to keep going was tough, and at one point, Melanie had to seriously consider selling the horse. He went away on trial, but Melanie said she was beside herself while he was away. She clearly wasn’t ready to give up on him yet. Fortunately, the prospective buyers passed and Melanie took Vlad off the market. During the offseason, Melanie began charting out her rise to the next level. One thing that Melanie tried during the this time was take off Vlad’s bridle. Having done bridleless work with another difficult horse before, Melanie thought it might be a worthwhile experiment. 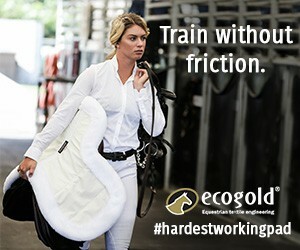 I’m not going to tell everyone to take off their bridle. I just know my horse. While the first few rides were a bit terrifying, Melanie admitted, Vlad quickly took to the bridleless work, even going so far as to participate in demos at the Pennsylvania Horse Expo. Once the 2017 show season started, Melanie went back to the bridle. Their second full season brought more success but also a few lows, including a particularly disappointing round in Harrisburg at the Pennsylvania National Horse Show just before the pair were set to head to Washington. That’s when a crazy idea occurred to her: why not take the bridle off at Washington? Melanie slept on the idea, consulted some trusted friends and researched the rules regarding bridles. All signs pointed to go, so Melanie and Wings got ready to make their bridleless debut at one of the biggest horse shows in the country. The week of the Adult Champion class at Washington, Melanie and Vlad took to the schooling ring to test out their lack of hardware. As it turns out, there was no need to worry. Vlad was quiet, relaxed and responsive with just the neck rope on. For a horse who questioned authority so much at the beginning of their partnership, giving him even more freedom by taking off the bridle ushered their bond to the next level. Even though the round wasn’t perfect, Melanie said she had the ride of her life that night. This journey has been a tough but rewarding one for Melanie. For her, it comes down to horsemanship.